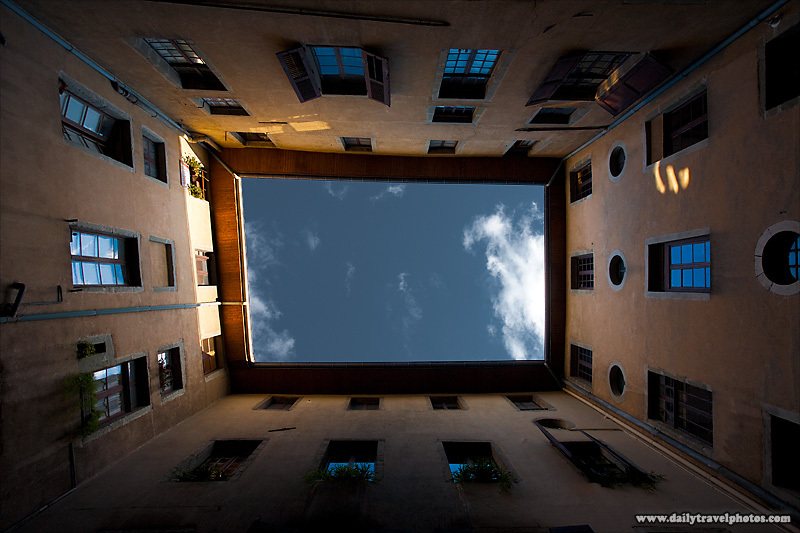 A closed courtyard at a French apartment complex in Chambery. The wide dynamic range required a double exposure which were later combined in Photoshop. And for the record, the building was from an ancient time when architects apparently lacked 90° edges which possibly explains the asymmetry of the "rectangular" roof opening.